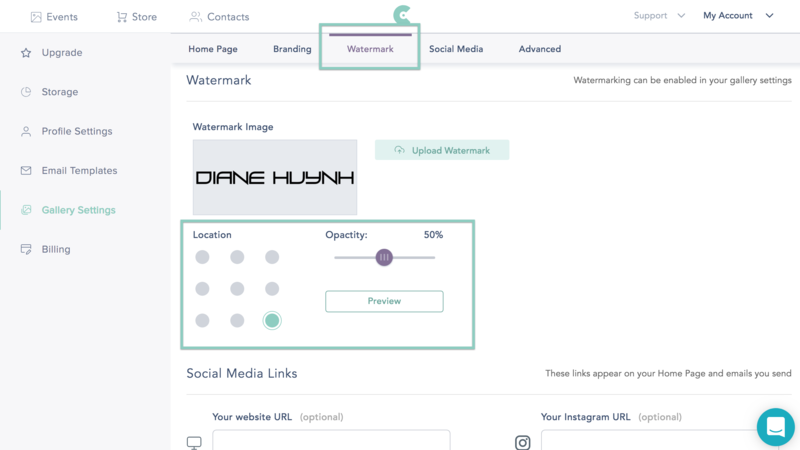 After you have created and uploaded a watermark file, you can globally set the location and opacity of that watermark to be applied to all of your online gallery images. Any changes you make will apply to all past and future collections/images that you've uploaded to CloudSpot. Older collections and web galleries will reflect the change immediately! To set the location and opacity of your watermark, click on “My Account” in the top right hand corner, and then click on “Settings”. Click on "Gallery Settings" on your left. You can scroll down or click "Watermark" in the tabs section. You can choose from 9 different placement options as well adjust the opacity. 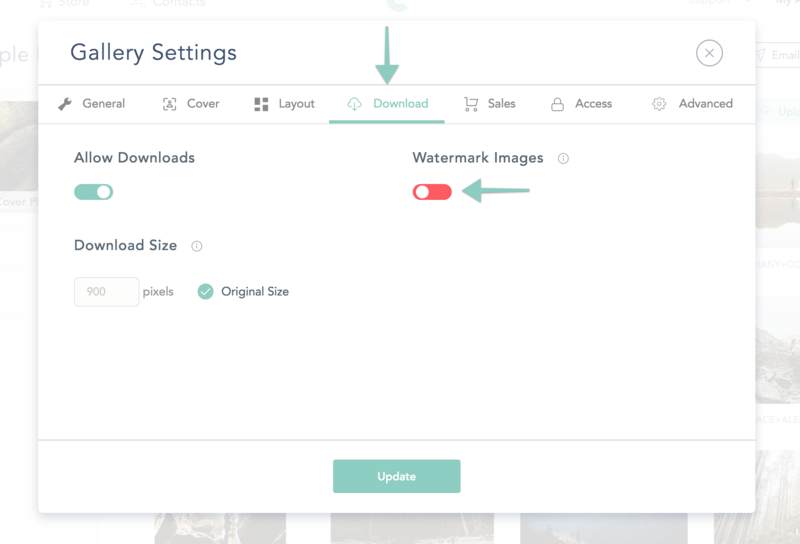 If a watermark file is present, you can also enable watermarks to appear on your online gallery photos. This watermark will only be on images in the gallery but not on any prints ordered.